To celebrate the 75th anniversary of Motor Maids, convention attendees may choose a shirt or jacket (or both). Sizing information is included to assist in purchasing the best fit, and we are now able to offer sizes S-5XL. If you have sizing needs outside that range, send a message using the contact form at the bottom of the page and we will check for additional sizes. 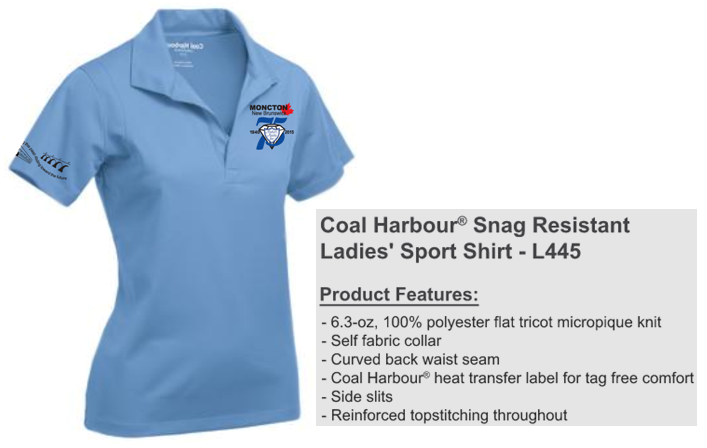 For sizes S-4X, Ladies' Sport Shirt L445 will be ordered. Size 5X is not available in this style. For an alternate style in size 5X that is the same fabric, see below. It is recommended that you measure a shirt that fits well and compare it to these measurements. The shirt will have the upper portion of the 75th Anniversary logo embroidered on the left front chest. The lower portion of the logo, the bridges, will be screen printed on the right sleeve. Shirts are $22.00 each and can be ordered on the convention registration form. If you do not find the size you need, contact Elizabeth using the contact form at the bottom of the page. We can order shirts larger and smaller than those listed. This is an alternate style for members with special fitting needs. 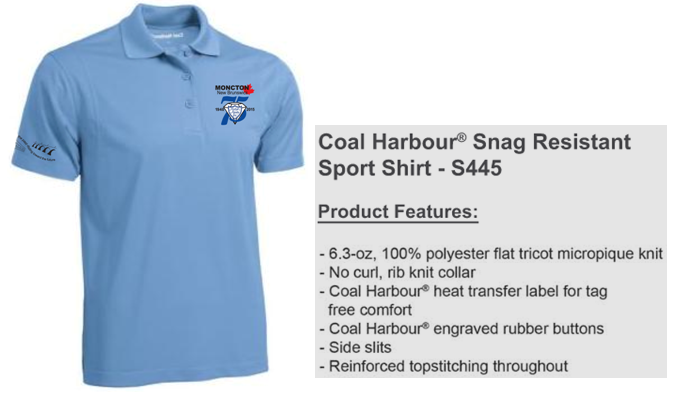 For size 5X, Sport Shirt S445 will be ordered. This is a man's shirt and is straight cut through the body. It is not available in women's sizes. It is recommended that you measure a shirt that fits well and compare it to these measurements. The hood is not removable but can be rolled and tucked inside the collar at the back. There is a Velcro closure on the collar that keeps the hood tucked inside. The jackets fit slightly smaller than the shirts. They have no stretch in them.